The Sandero has Dacia's new styling cues including wide headlights and a wide grille and a robust-looking sculpted waistline. RENNES, France -- The second-generation Dacia Sandero hatchback is expected to quickly become the best-selling model for Renault's budget brand, overtaking the Duster small SUV. The Sandero's affordable entry price of 7,900 euros and strong demand for subcompact hatchbacks will help the car generate high-volume sales, David Holderbach, Renault's entry range product director, told Automotive News Europe. "There is a huge source of demand waiting to be tapped for this type of car," Holderbach said. "Many European customers want an affordable hatchback in a subcompact-size that is roomy enough for five adults." Renault does not expect the five-door Sandero to cannibalize sales of its recently introduced Clio subcompact. "The Sandero and Clio are very complementary," Holderbach said. "They are for two different types of customers who are looking for different options and car styles." Clio customers seek higher-end options that Renault's more upscale subcompact offers, such as variable-rate electric power steering, a rearview camera and high-end airbags. IHS Automotive analyst Ian Fletcher said Renault has made a good move by separating customers who want a low-cost, well-equipped car from the people who want a more stylish and option-packed model such as the Clio. 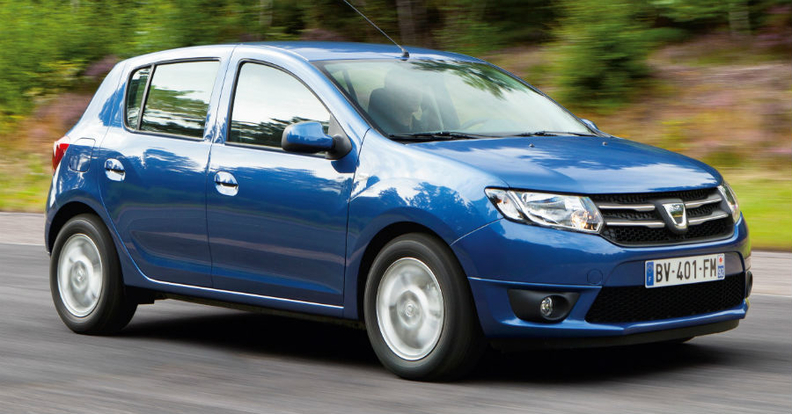 IHS Automotive forecasts that the Sandero will outsell the Duster within two years. In the first 10 months, Dacia sold 66,000 Sandero cars in Europe, compared with 94,753 sales of the Duster, according to JATO Dynamics. The first-generation Sandero launched in 2008. The successor model marks the introduction of new, more assertive design cues at Dacia. The Sandero will also be sold in the UK for the first time, launching there in January, along with the Duster. The Sandero will be offered with three engine choices: Renault's new 900cc gasoline unit, a 1.2-liter gasoline unit and a 1.5 liter diesel.